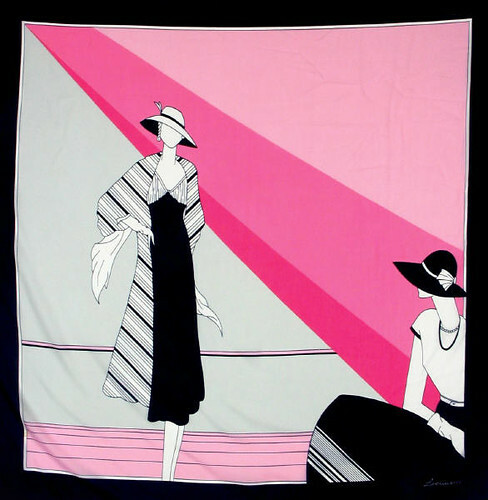 I found this intriguing vintage scarf from eBay seller vintagezone4. This is In varying shades & tints of pink w/navy trim & with 2 ladies decked out in the clothing of the Art Deco Era. I thought it was interesting that, while this scarf is vintage, it was made in the 70s, not the 20s. Hmm.